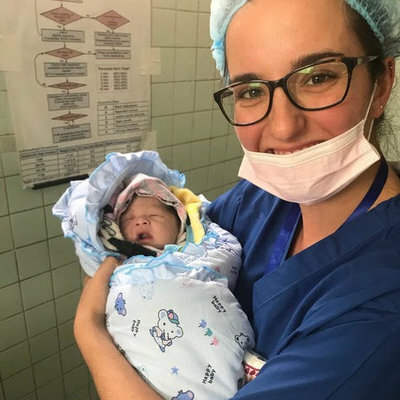 At the time of writing this piece, the Royal College of Midwives are supporting a Global Midwifery Twinning Project with Nepal. 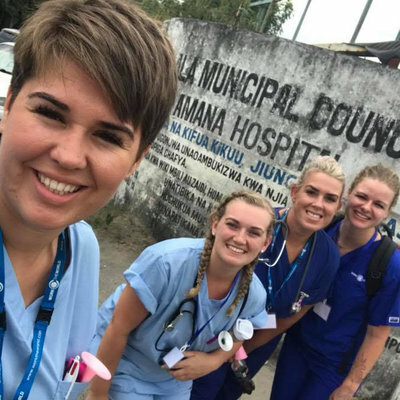 As qualified midwives in England we wanted to learn more about maternity care in Nepal through a professional placement. We chose Work the World as they are a well recognised organisation and they offered a placement to our chosen destination. Previously, colleagues have travelled with Work the World and highly recommended them- something really important when embarking on such an adventure! Upon registration for the programme, we were promptly contacted by both Leah and Colin from the UK office to discuss our plans. We were directed to the ‘MyTrip’ page, which is a personalised platform for all our travel details. This provided a wealth of information about preparation, accommodation, placement details and some useful tips about Nepali life. We found the support Leah and Colin offered to be very good, as they were always on hand for advice. After a few weeks of planning, we arrived in Kathmandu and our programme manager, Sean, who ensured our safe travel to the Work the World house, greeted us at the airport. We were welcomed by our fellow housemates and made to feel at home straight away! The following day after a restful night’s sleep and a feast for breakfast cooked by the in-house chef, we received an individual orientation of Kathmandu. This involved local transport methods, money exchange, a trip to the Garden of Dreams for a lovely coffee and a short trip to our hospital, where our placement would take place. As midwives, we were placed at the Maternity Hospital with a staggering 20,000 deliveries a year! Amazingly, this figure excludes the 65% of deliveries which occur at home. Throughout our placement, we were privileged to work with doctors, nurses, student nurses and skilled birth attendants. Skilled birth attendants are qualified nurses who have received additional training in providing all aspects of maternity care, as midwifery as a profession is not currently recognised within Nepal. We were able to observe within a wide range of areas such as: in a gynaecology and antenatal clinic, the birth centre, labour ward, emergency room and the antenatal/postnatal wards. The staff were very kind and approachable and were able to answer a lot of our questions. Subsequently, as a result, we gained most of our information. They were also keen on asking about midwifery care in the UK and our Nepali classes held at the Work the World house twice a week certainly came in handy! For us and our professional body, it was important to learn more about evolving maternity care and the development of the concept of a midwife within Nepal. We were able to meet with the president of MIDSON (Midwifery Society of Nepal, Est. 2010), Kiran Bajracharya. We learnt more about the Safe Motherhood programme, which started in 2006, and the improvements this has introduced to date. This enabled women for the first time to access free maternity care. We also gained an excellent insight into the upcoming developments around the concept of a midwife in Nepal, and how the Global Twinning Project with the Royal College of Midwives has supported this. As part of our trip, we wanted to explore the delights Nepal has to offer. We visited Thamel, a popular tourist destination with busy city life; Swayambhu for the Monkey Temple; and Patan Durbar Square. We even managed to squeeze in a weekend trip to Pokhara, a surreal place in Nepal with excellent views of the Himalayas. 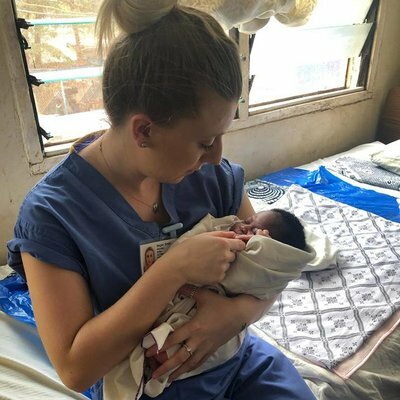 This placement has been a real eye opener into how minimal resources can be utilised to provide care for women and their babies, especially in a country with one of the poorest outcomes in maternal and neonatal mortality and morbidity. If you have the urge to travel abroad to help others, then we wish you all the best!